I took a little break from blogging. Did you miss me? Okay you might not have missed me but I’m sure you missed the great music that is usually posted, especially the Morning Cup of Soul. I damn near missed it myself. While I was away I got to listen to a few albums. I hardly ever get to listen to a full album, where I can pay attention to all the songs. Two albums are standouts to me but neither falls into the R&B category but they still are loaded with Soul. The first is Shari Addison self-titled album. 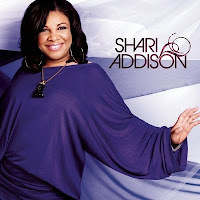 Shari Addison was runner up on the show BET’s Sundays Best (A gospel version of American Idol). From start to finish the album packs soul and showcases her amazing voice with meaningful lyrics. This is one of the best contemporary Gospel albums that I’ve heard in a long time. The album was released January of last year and while I did enjoy the single “No Battle, No Blessing”, I just never got around to listening to the full album. I’m so mad that I didn’t listen to it sooner because it delivers a message that I needed. Shari takes you STRAIGHT TO CHURCH! Standout tracks include: “No Battle, No Blessing”, “I Praise You”, “Please Make Me Better”, and “He Does All Things Well”. The next album that had me listening to it over and over again. 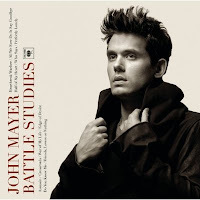 From beginning to the end John Mayer’s “Battle Studies”, captures you. This is by far the best album he’s ever made. From his bluesy guitar licks to his bourbon smooth voice and his personal lyrics. Going through heart break, ever been through heart break, need someone to identity with? Here is your album! The songs are all so well crafted that anyone could be a single. The standout tracks include: “Perfectly Lonely”, “Edge of Desire”, and “Heartbreak Warfare”. I am a huge John Mayer fan and I have heard nothing but good things about the album. I've got to check it out. Yea! You have to check this out. It's a complete album with every thing on there hitting a special mark.